TransferSoft® Inc., a provider of the most efficient enterprise data transfer software to OEMs and systems Integrators, today announced the general availability of HyperTransfer® for Windows. The native Windows compilation software suite accelerates block and file transfers to full line speed across local, wide and global area networks, and is identical to the original HyperTransfer in terms of performance, security and functionality. Moving data in and out of a data center, the cloud, across the country, or around the world remains a critical business challenge due to the size of modern files and data objects, and the speed they need to be shared and acted on. 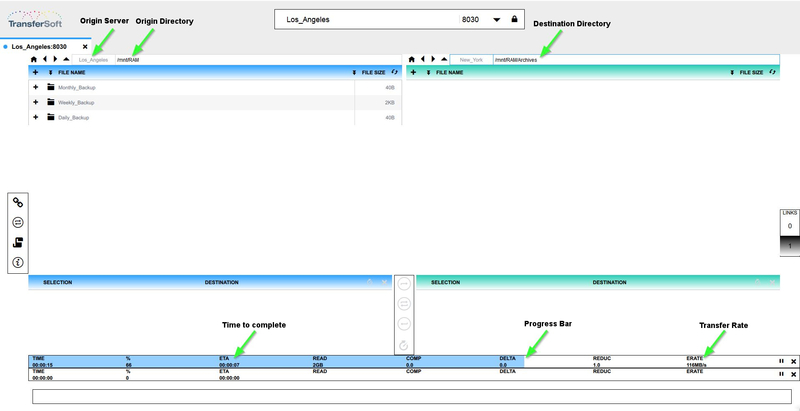 TransferSoft continues to provide a reimagined data movement system that transforms data inflight. Operations including checksums, data compression, encryption, statistical differencing, and deduplication operate at full bandwidth with HyperTransfer for Windows while their operation is independent of the latency introduced by the distance between the source and destination services. 5. Small and Large Files: Moves files at line speed independent of file size or depth of directory (i.e. with a 10GbE connection, a 650 GByte file will transfer at 1 GB/s. On the same 10GbE connection, a directory structure of 10,000,000 small files (e.g. 64KBytes in size), in 16-deep nested folders, will also transfer at 1 GB/s). TransferSoft is changing the way data moves between systems and around the globe. While processing power and storage capacity has dramatically increased year after year, the ability to move large amounts of data has become a roadblock to the effective implementation of cloud, big data, and disaster recovery applications. TransferSoft has solved this problem with HyperTransfer. This disruptive technology drops into an OEM's existing solution with no coding required, and allows them to accelerate block and file data movement within their existing applications. For more information, visit http://www.transfersoft.com or call us at 310-909-7788.